Hey, You, Get Off of My Back! This video is just for fun! Watch as the red-eared sliders jockey for position. Music is by Leo Delibes. I could almost hear the music as I filmed this! 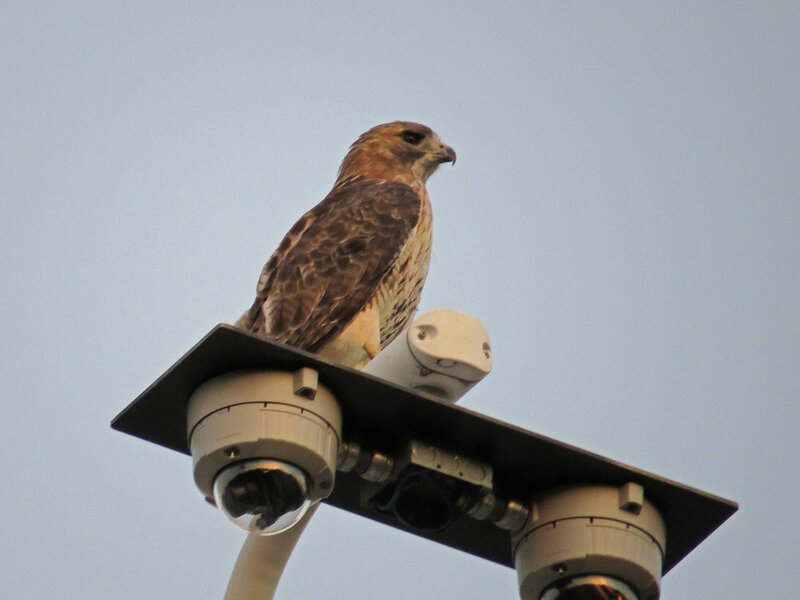 On Sept. 23 , we found a visiting young adult red-tailed hawk at the back of the Metropolitan Museum of Art. It was late in the evening, and the light wasn't great, but I did get some photos and a video. We were struck by how dark the head of this bird was, and how beautiful the coloring (darker than Pale Male, but the head shape was very similar). 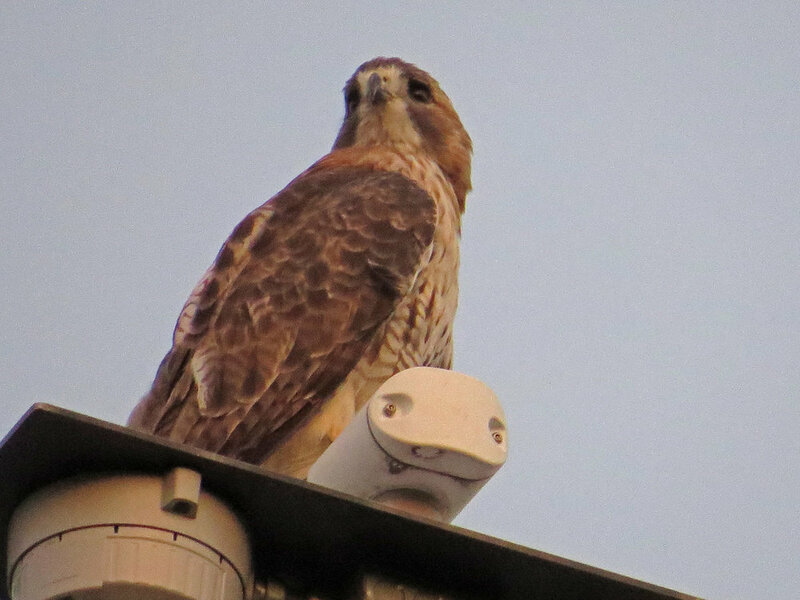 We don't think bird was related to Pale Male, but he sure was a gorgeous hawk!